Pushbuttons and Indicators are used for operator input and system status indications. 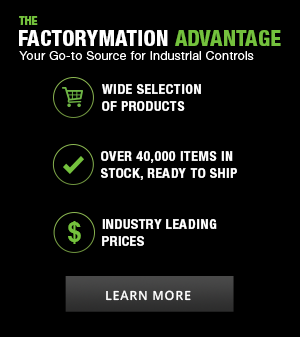 These industrial-grade buttons and indicators fit 22mm mounting holes and are non-metallic, UL Type 4X, and IP66-rated. 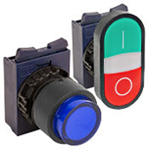 Options include a complete line of pushbuttons, momentary and e-stop mushrooms, pilot lights, switches, contact blocks, potentiometers, and more in a wide variety of colors.